Every year, the national and international jewelry and watchmaking industry presents its latest trends at INHORGENTA MUNICH. One thing is already clear for the forthcoming trade show: wooden watches are on the rise. But this is not the only news in Hall A1 “Timepieces”. The Fossil Group has signed up once again for 2017 with an exhibition space of its own. And brands like Victorinox, Guess, Doxa and Traser H3 will have their premiere at INHORGENTA MUNICH from February 18 to 21, 2017. Besides jewelry, watches will take center stage again at INHORGENTA MUNICH 2017. For the first time ever, the history of watches will be presented in Hall A1 “Timepieces” which also offers the opportunity to take a look into the future of timekeeping devices. 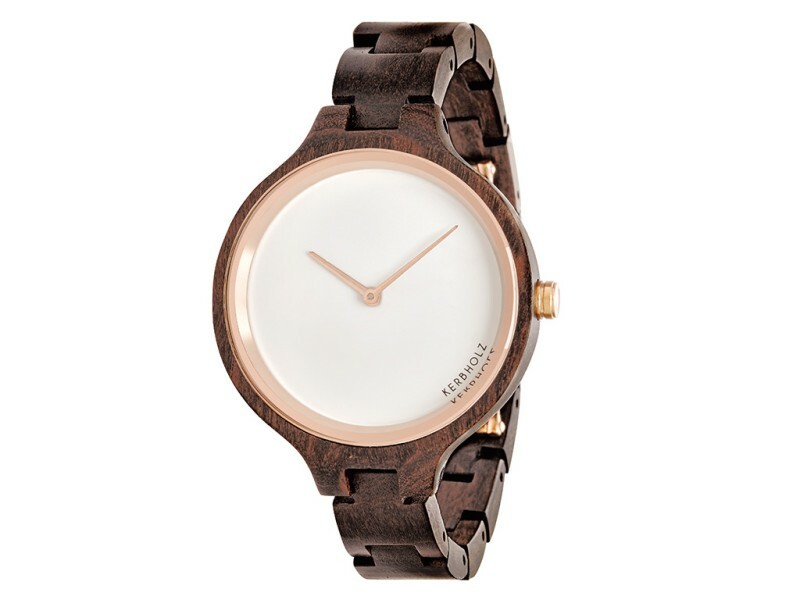 Wooden timepieces have meanwhile developed to become a real trend. Here, the notion of “timepieces” does not refer to clocks hanging on walls, but to wristwatches made from wood. The relatively young entrepreneurs Kerbholz, Laimer, Avatar, Tense and Stadtholz will be among the exhibitors of INHORGENTA MUNICH 2017. Stefanie Mändlein, Exhibition Director of INHORGENTA MUNICH: "These watches combine sustainability with modern lifestyle, while being ultra-light. For two or three years we have been observing that demand in this segment is steadily on the rise. We are happy to be able to offer a platform for these special watches at INHORGENTA MUNICH 2017." In addition, with Fossil a well-known company will be back in Munich with an exhibition space of its own. Complete newcomers will be the watch brands Victorinox, Traser H3 and Doxa. Furthermore, TT Trendtime with the brands Guess, Daniel Wellington and Ice Watch will strongly enlarge its presentation space. "We see this as a confirmation of the fact that we are on the right track with our trade show concept", says Stephanie Mändlein gladly. All information on the INHORGENTA AWARD: www.inhorgenta-award.de. Further information is available at www.inhorgenta.com, on our blog www.inhorgenta-blog.de and on Facebook: www.facebook.com. Photos for free download are available here, videos can be found at: www.inhorgenta.com/services and at the Messe München Media Center. INHORGENTA MUNICH 2017: Wooden watches are on the rise.